Today was the most tiring day of the trip so far (outside of flying from the US to China). Here is a run down of what we did. -go back to the Welfare Center and receive our official adoption certificate. This means that Malachi is legally our son! -get on a bullet train and take and hour long trip to Sanmenxia City to apply for Malachi’s passport. This was our second bullet train trip reaching speeds of 307 km/hour. 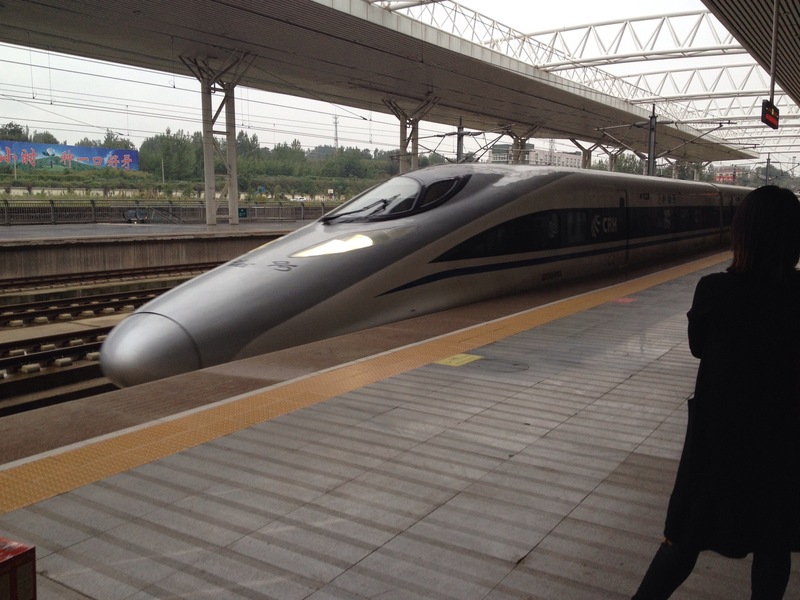 -Return to Zhengzhou on the bullet train. This part of the journey was miserable as the temperature inside the train was at sauna levels. After it was all said and done, we ordered room service nearly 11 hours after we left in the morning. Tomorrow is a free day before we fly to Guanzhou for Malachi’s health check-up and visa appointment on Friday. We continue to be thankful for your prayers and support. This entry was posted in Adoption and tagged adoption, China, Malachi. Bookmark the permalink.